Just a photo of a display in our window. I'm pretty happy about the Return of Grey this season and even though I'm supposed to be doing a holiday-themed window, I couldn't resist. 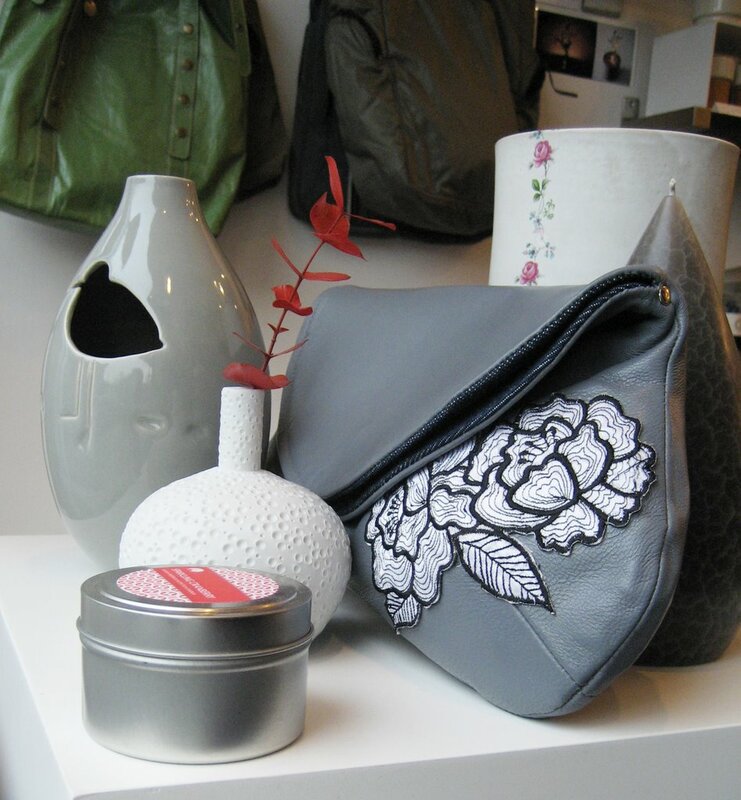 Items include: Andrew DeWitt bubble bud vase, SML Bags clutch, Karin Eriksson vase, Beccalights travel candle, Joanna Mendicino shorebird vase, Barrick Design crackle candle. And some totebags, in the background.